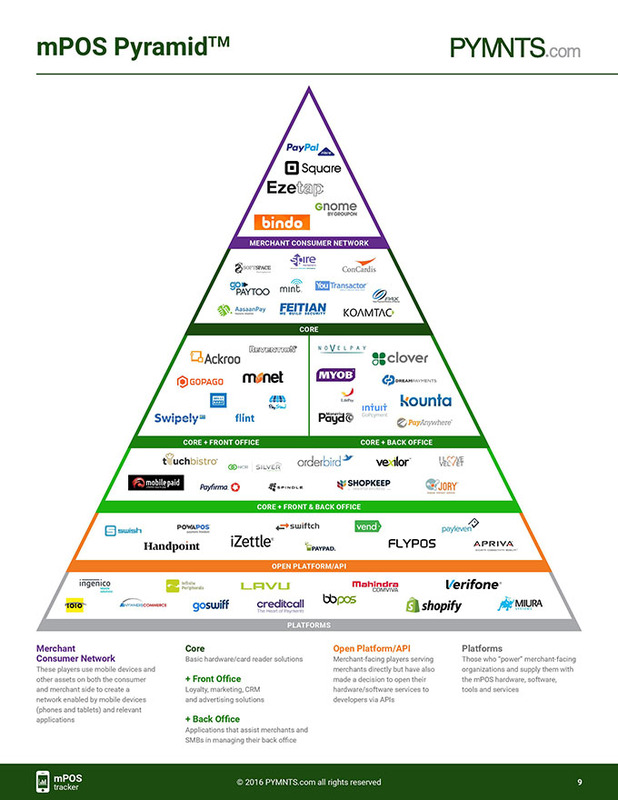 The widely-read industry online media PYMNTS recently released its "March 2016 mPOS tracker" - a monthly update of the mobile Point-of-Sales ecosystem. 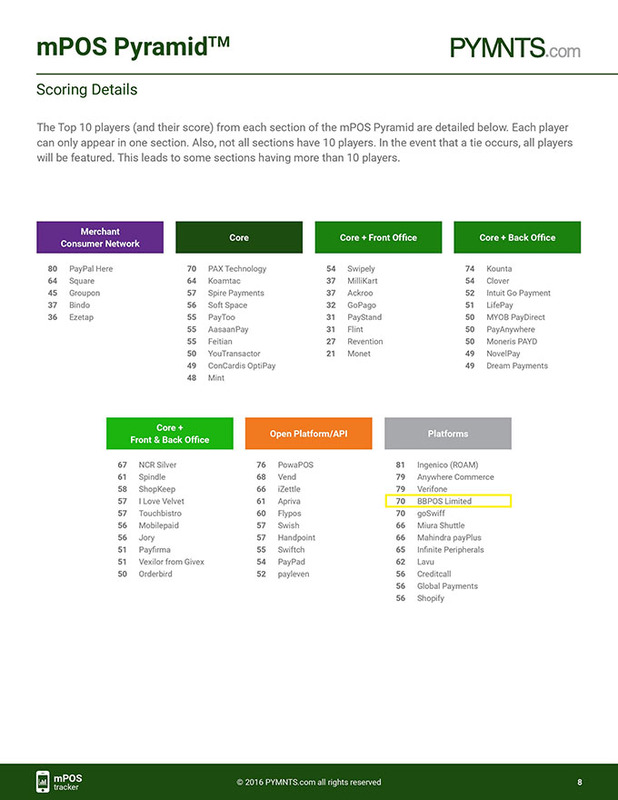 BBPOS Limited is ranked 6th among 212 global payment industry players and 4th among the greatest platform players with a high score of 70. In comparison, Ingenico, Anywhere Commerce and Verifone are ranked first, second and third respectively in the same category. The PYMNTS mPOS Tracker ranks mPOS players and is based on factors including the numbers and types of devices used, locations where solutions are implemented, and the number of payment types accepted. 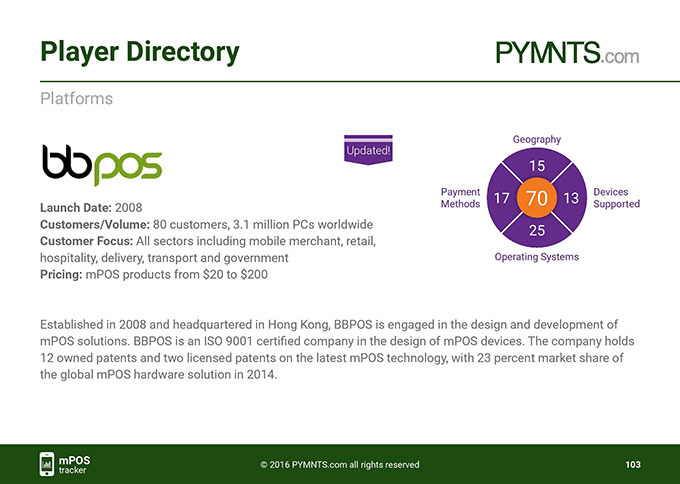 In the same issue, the PYMNTS mPOS Tracker also listed BBPOS business updates in the worldwide news highlight section.